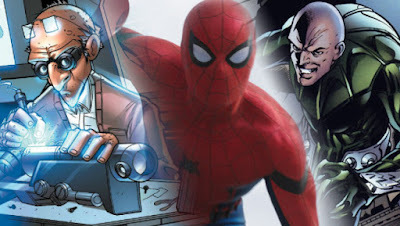 When Michael Keaton was first confirmed to be playing the Vulture in Spider-Man: Homecoming, it was also slipped in there that the Tinkerer, a very trivial throw-away Spidey villain from the comics, would appear as well. My only experience with the Tinkerer was when he was introduced in The Amazing Spider-Man #2 back in 1962, where he was an old radio repairman who turned out to be the leader of an impending alien invasion. Now, I highly doubt that's the direction their taking, but it sounds more like the Tinkerer in this film will be the one who designs the Vulture's suit, along with the technology used for the Shocker, who will also briefly appear in the movie as well. But with the Tinkerer being involved in the movie, the question has been who will play him. Many have assumed it would be Logan Marshall-Green, who had been cast in an unknown role. But now we can count him out, as we know who will truly play the Tinkerer. 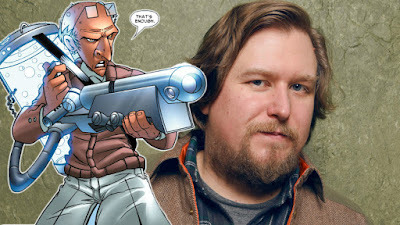 Actor Michael Chernus has been confirmed to be playing the role. I'm not really familiar with Chernus at all. He's been in a few movies I've seen, but I don't really recognize him or remember him distinctly from anything. What's most noticeable for me is the departure from the comics they are taking with the character. Sure, they won't make him an alien in disguise, but the Tinkerer has traditionally been an older man, as evident from the picture above. What this tells me is that the Tinkerer will have a very, very minor role, and will only be the Tinkerer in name. Along with the casting news came the details that the Tinkerer will be a former Stark Industries employee who was fired by Tony Stark (Robert Downey Jr.) himself, and has since gone on to design suits for the Vulture and the Shocker. This seems like a natural use of the Tinkerer, and probably won't adhere to his comic book history at all. And I do suspect that Marshall-Green will end up being the Shocker. But regardless of the fact that I'm not familiar with Chernus at all, I'm glad they have cast this role in the film, and that this very minor character will appear on the big screen. What do you think? Are you glad that Michael Chernus was cast as the Tinkerer in Spider-Man: Homecoming? How do you think they'll portray the character on screen? Are you looking forward to seeing the film? Leave your thoughts in the comments section below.